Martin Sodomka is a writer and graphic designer born in 1968 in Svitavy, Czechia. He studied technical design and worked first as a constructor, then he switched to freelance design. Since 1994 he’s been working with Computer Press, designing book covers. In 2012 he published his first of the series of „technical fairytales“ How to build a car which quickly became a bestseller and has since been published in many languages. 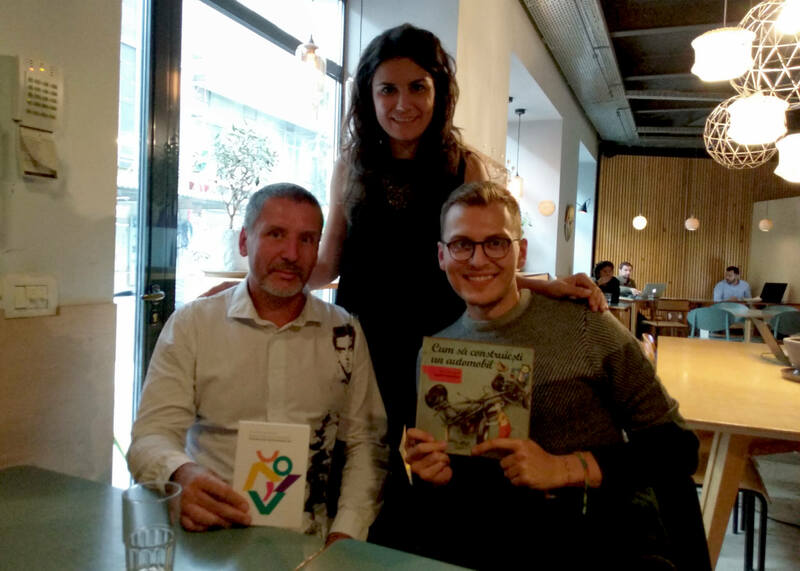 At the end of September, Sodomka came to Bucharest to present the latest translation of his book. ‘How to build a car’ is your first book. But you graduated in technical engineering, how does one go from that to becoming a writer? Basically, it was just a coincidence. I was working as a graphic designer, but one of my hobbies is restoration of classic and vintage cars. One day I had one of those dismantled to pieces, that was the first step. A friend of mine who publishes books abroad contacted me and we somehow made a deal. But he wanted to publish something as an atlas or a guide, but my writing turned out to be more of a fiction. So we cancelled our plans and I decided to publish the book on my own in Czechia. Children’s literature is a specific genre and your books are somewhere between a comic book, encyclopedia and a guide. Which one of these do you consider as the main line when you are writing? It is just a coincidence; it simply came out like that. It is a result of my personal taste or my opinion on a children´s book. I was writing the book for myself – what I would like to read as a kid. You are working as a graphic designer and you also illustrate your own books. The illustrations are playful, but at the same time they are quite technical. Is it difficult to find a balance between playfulness and the right level of expertise during your creative process? Yes, it is difficult. The thing is that all the illustrations are real, the machines work like that and it would be possible to build them. But I wasn’t beating around the bushes. There´s the fiction part and the technical part. Those who are not fond of the technical part can just skip it, the book works without it as well. And those who are interested, they can discover new things that will help them to understand some principles. Your books have been translated to more than 16 languages so far. Are you following up on the feedback from abroad? Does it differ from country to country? Yes, I try to keep up with the feedback and reviews. 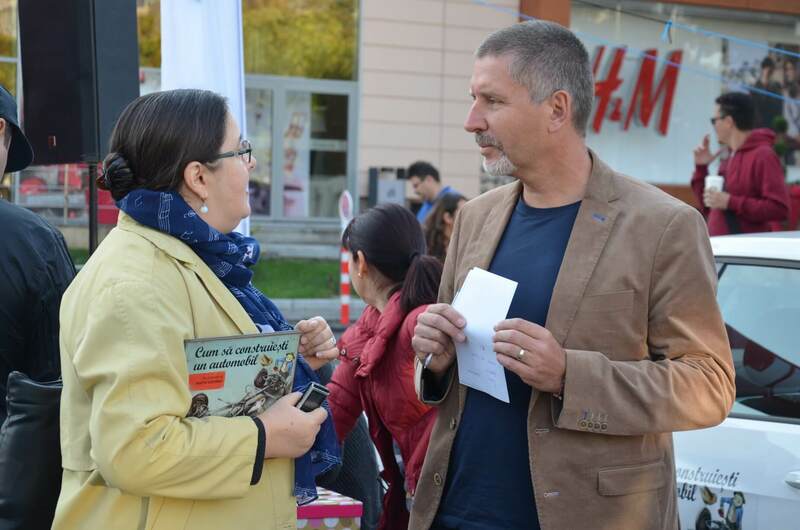 I also travel abroad, I´ve been to Ukraine or Russia, presenting the book just like I am doing now here in Romania. And from what I´ve seen, the books are way more popular in the East than in the West. I don’t know why this is, but if I had to guess, I´d say that the kids in the West see the car as a consumer article, maybe the same as a vacuum cleaner. Whereas kids in the East have a more personal relationship with cars, maybe their dads were still repairing cars. That´s why I think the book could be a success here in Romania. 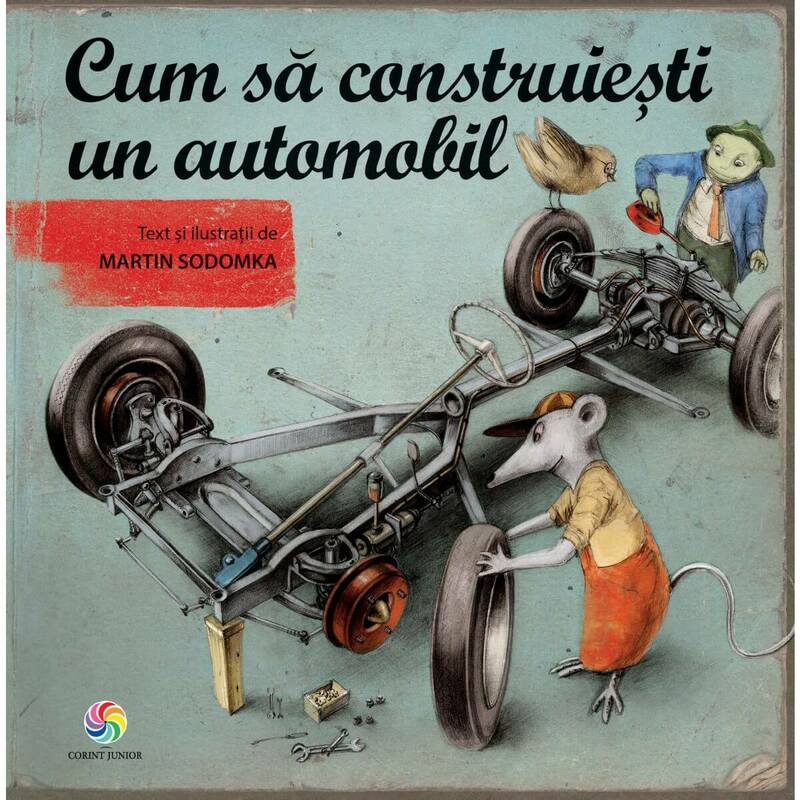 In the Czech language you´ve already published a whole series of books (How to build a car, a motorcycle, a house, a railway). Are you going to continue with the same topic? What are you next plans? Last year the last book from the series was published and with it I am also saying goodbye to the animal characters. I have come up with new ones, this time it is going to be about quantum physics and the theory of relativity and the protagonists will be humans. If everything goes well, the book will be out by the fall of next year.